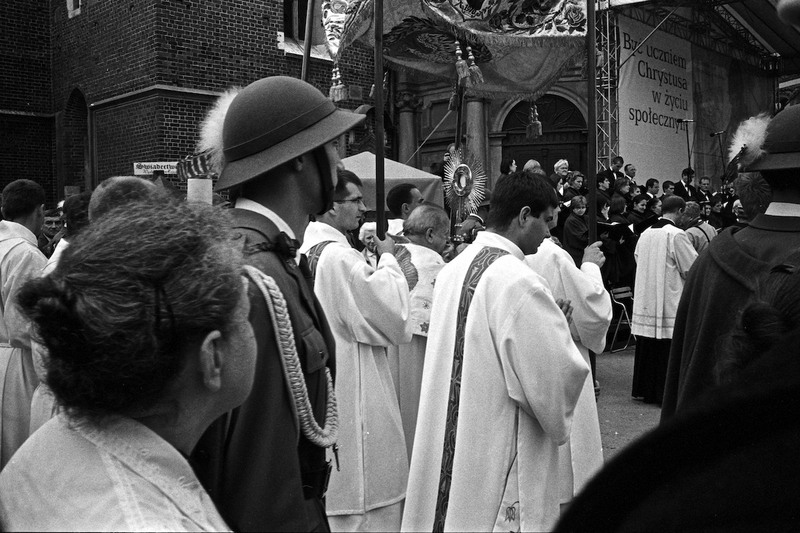 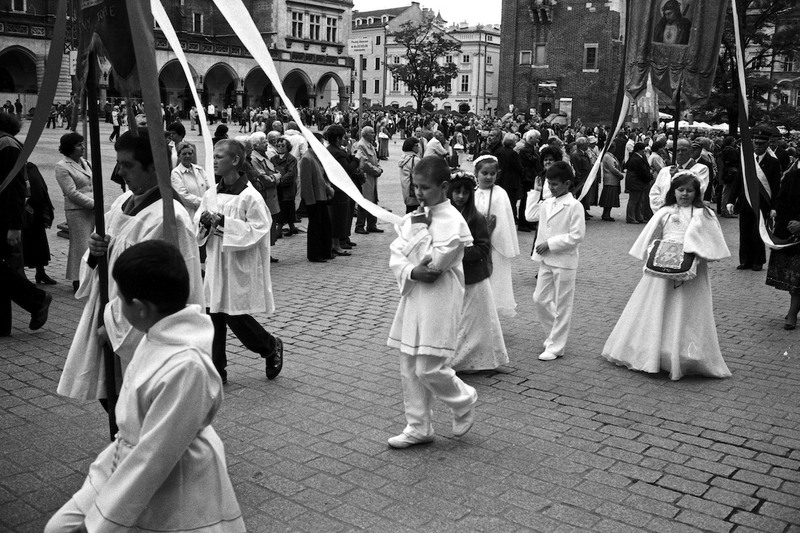 The feast of Corpus Christi is a religious celebration during which a public procession of the Eucharist is held. 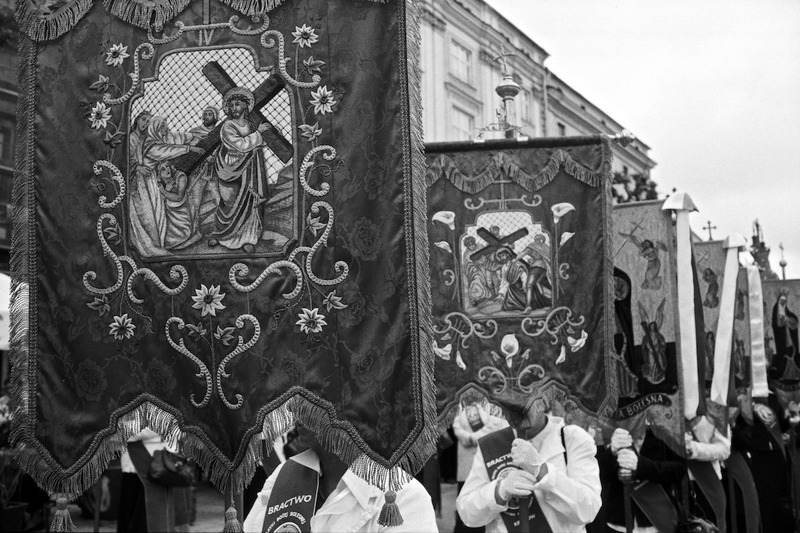 The feast begins with a solemn mass and then a procession of faithful following a monstrance carried by a priest, walks through the streets. 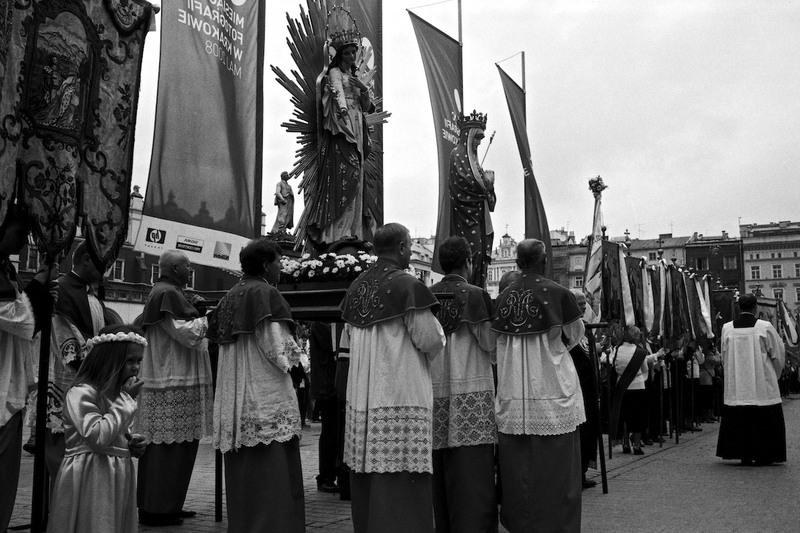 The procession stops four times for readings and prayers. 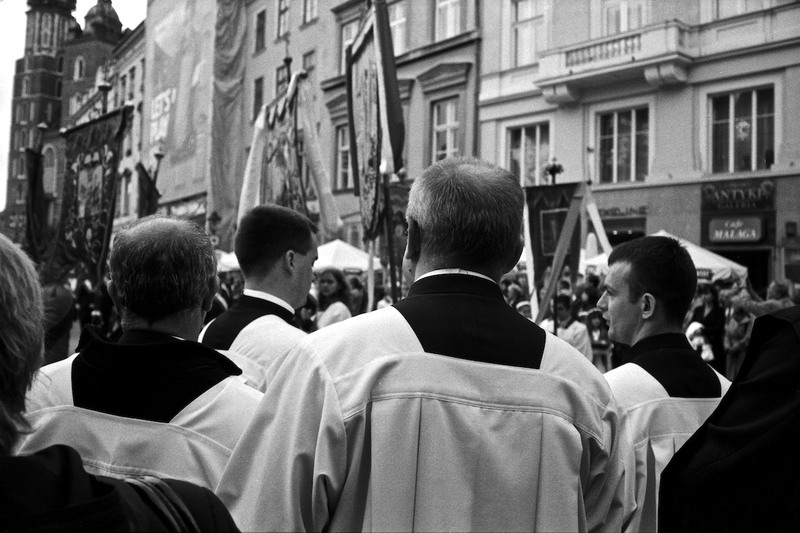 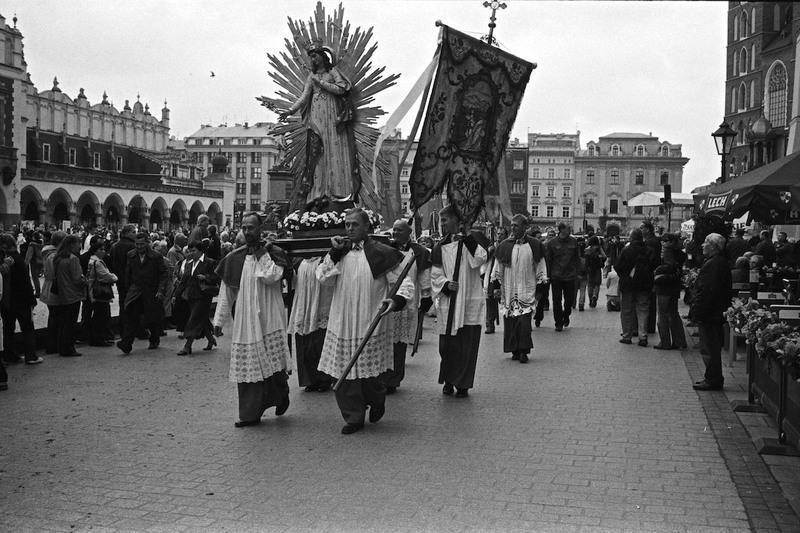 In Krakow the procession traditionally walks from the Wawel Castle to the St. Mary's Basilica adjacent to the Main Market Square. 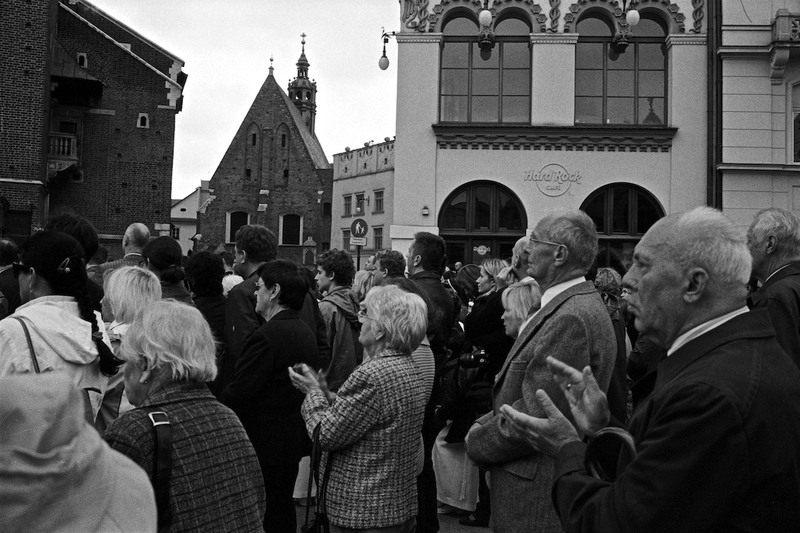 In May 2008 the street connecting the castle with the square was closed due to repairs. 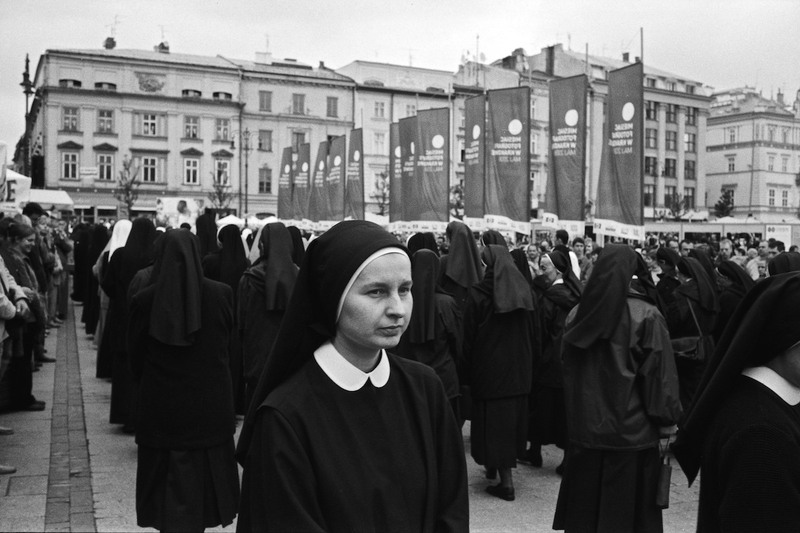 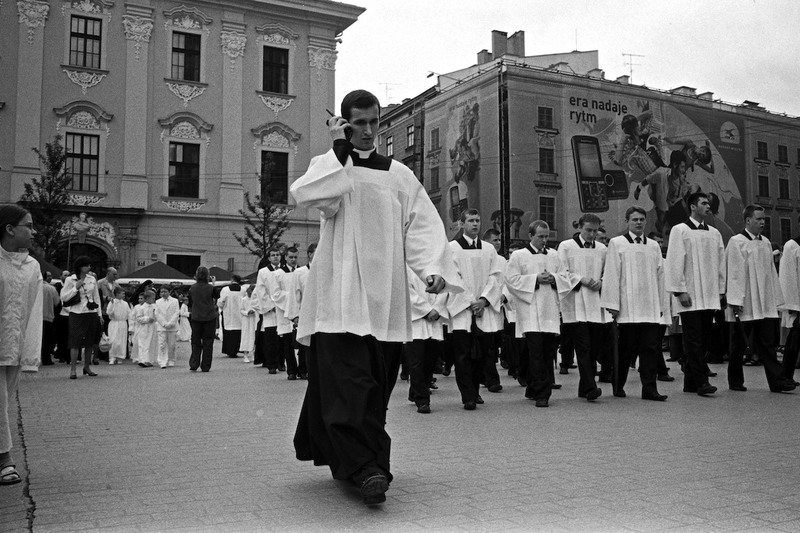 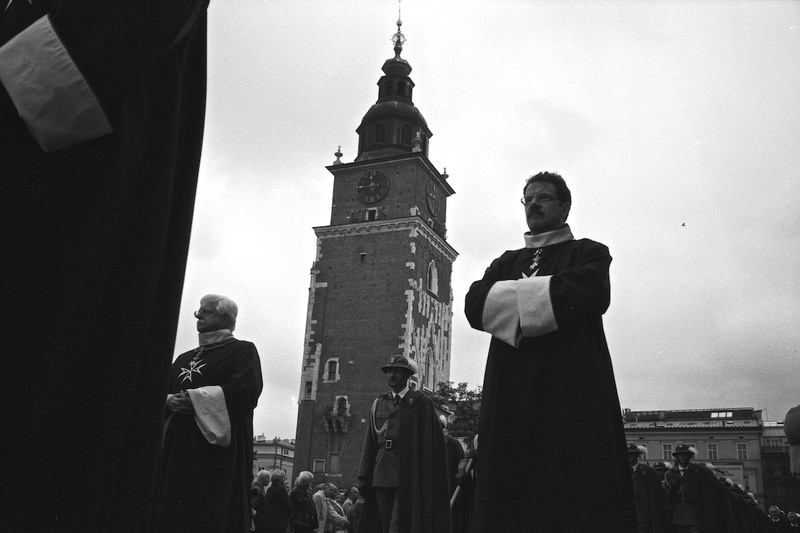 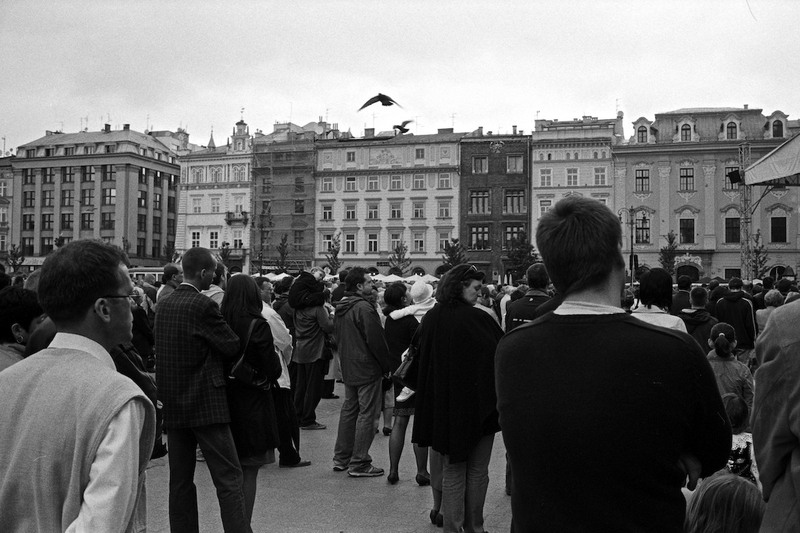 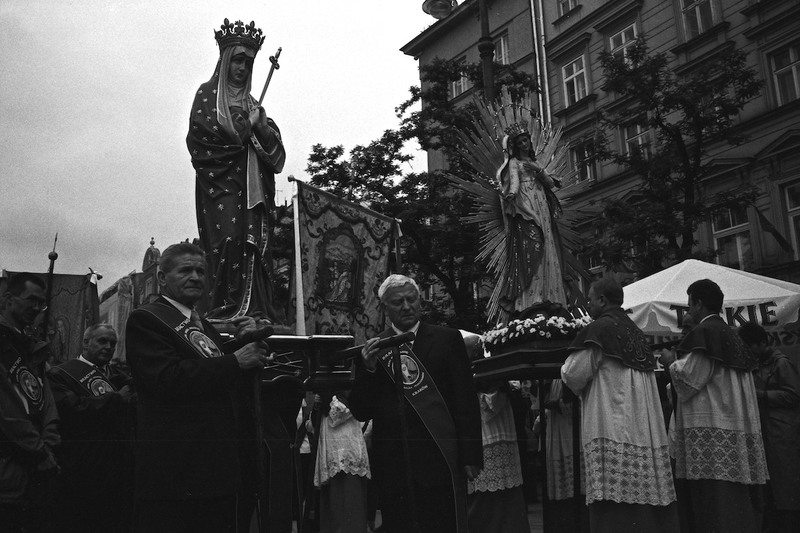 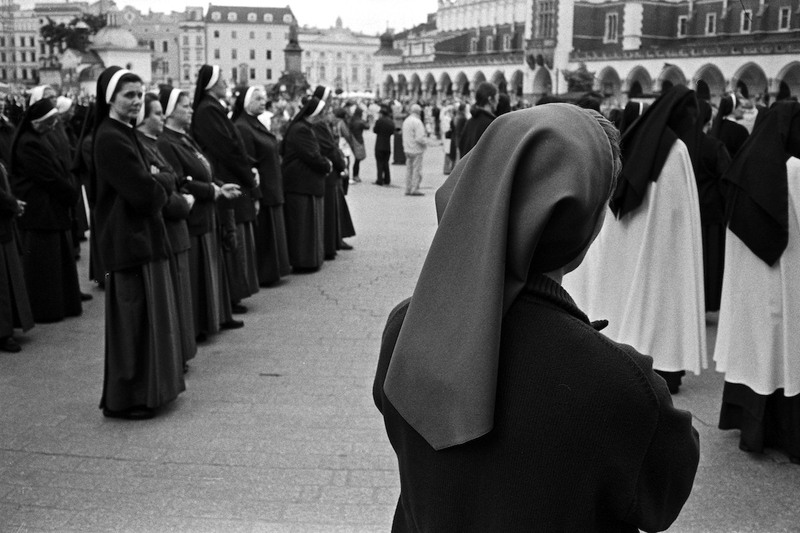 Therefore the procession, preceded by the archbishop of Krakow, walked around the Main Market Square. 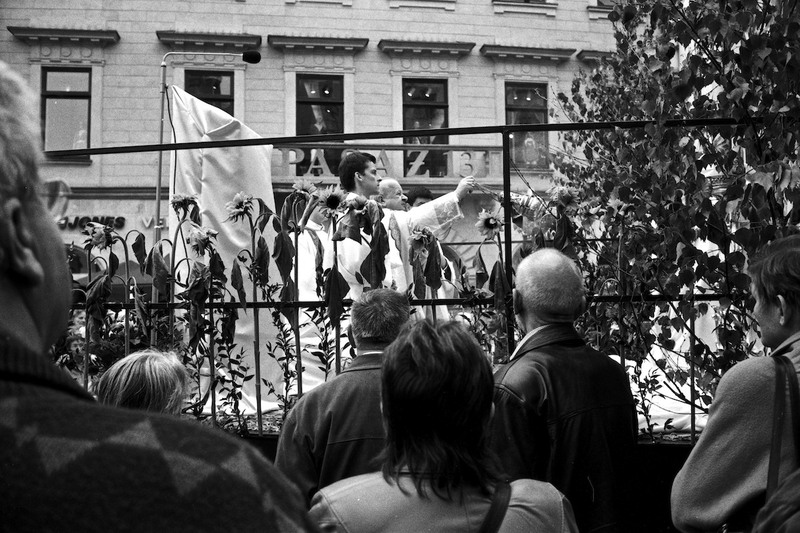 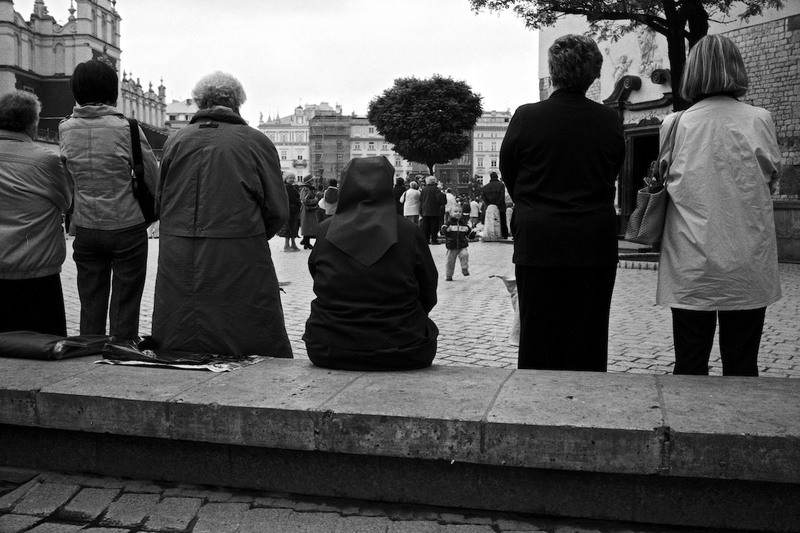 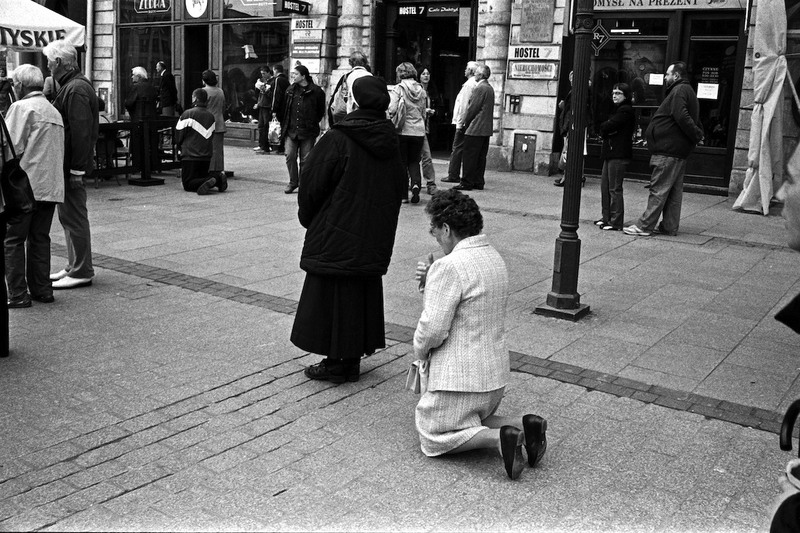 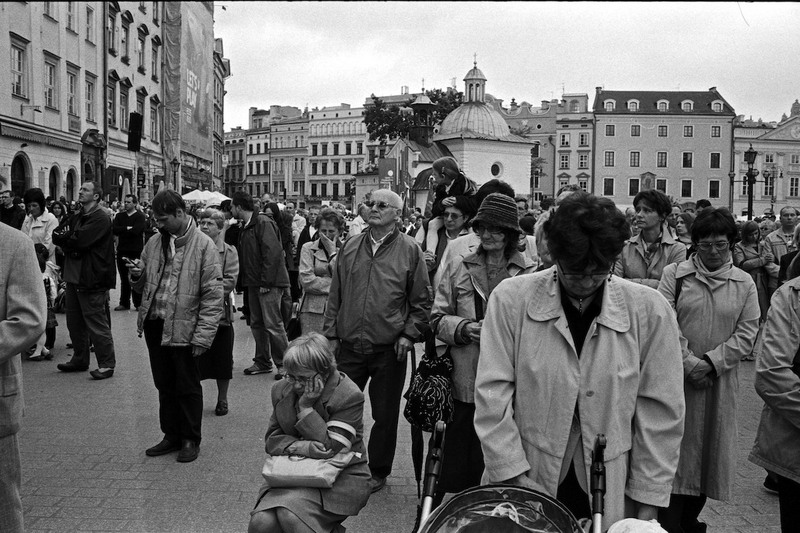 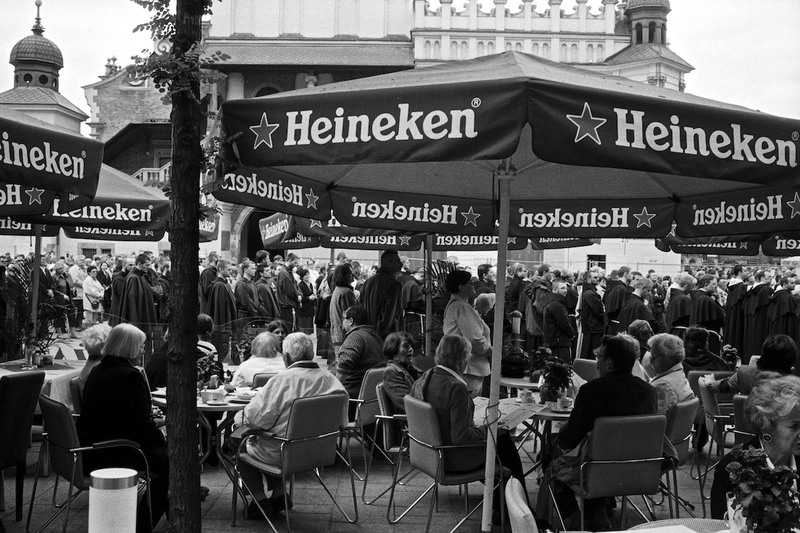 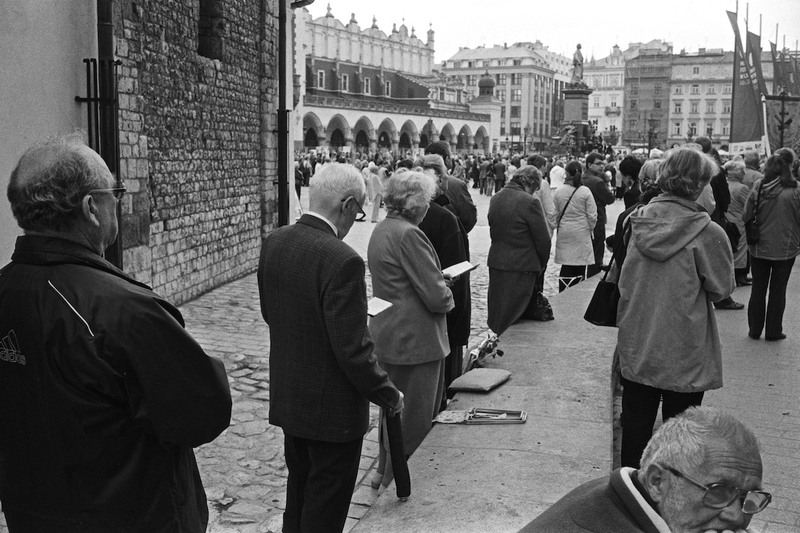 It was the perfect occasion to observe the faithful and the tourists who suddenly found themselves in the middle of a religious celebration.